EPSILON™ Series, EPS Foam Coating Epoxy | Smooth-On, Inc. 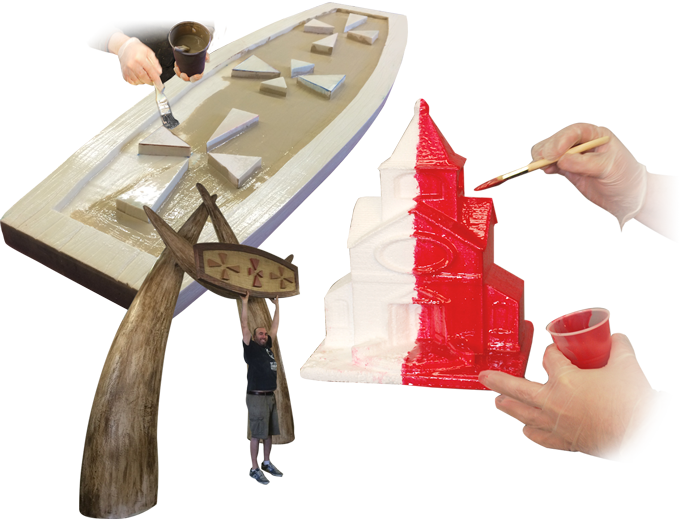 Developed for Disney, EPSILON™ is a thixotropic epoxy coating that self thickens for brushing onto a variety of surfaces without sagging. 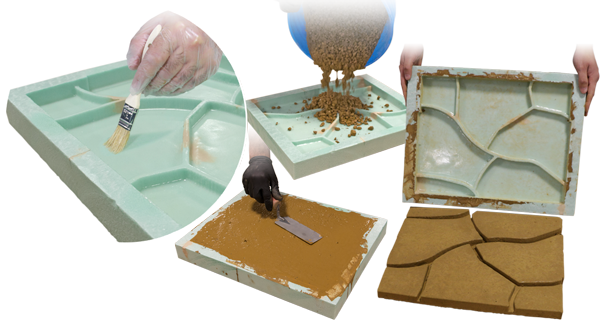 Epsilon™ PRO offers a longer working time and cured epoxy is semi-rigid, offering better impact resistance. 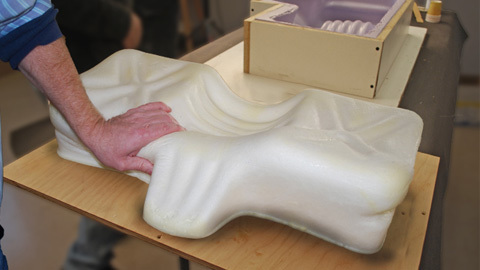 Use as a protective coating for EPS or polyurethane foam. It can also be applied to plaster, concrete, wood and fabrics. EPSILON™ is not sensitive to moisture or humidity and contains no VOC’s. EPSILON™ cures at room temperature to an impact resistant plastic which exhibits good compressive and flexural strength. 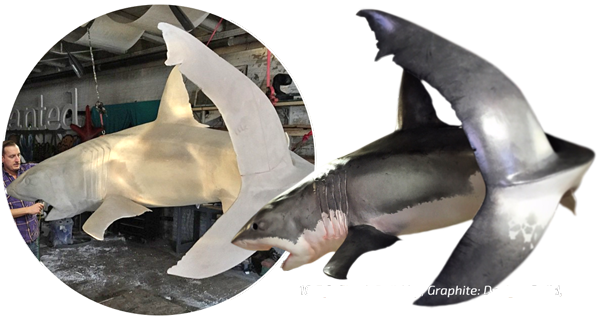 EPSILON™ can be painted and/or primed and then painted with acrylic enamel paints to make large, lightweight, and realistic displays. A softer, semi-rigid version of original Epsilon™ epoxy coating. A mix ratio of 2A:1B by volume means a gram scale is not needed to use this product. Epsilon™ PRO also offers a longer working time and is easier to color using Ignite™ or UVO™ colorants.